The above example has a channel name of My First Channel along with the required email credentials (specific to your mailbox) entered. 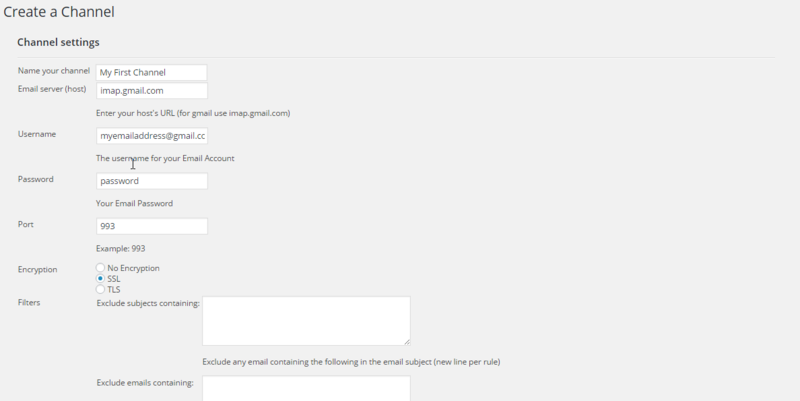 Once the necessary options have been selected, click on the Submit button to save your view. Thereafter, you will be taken back to the Channels tab where you can then add, edit or delete your channels.